Hey, Dads . . . it's BBQ time! 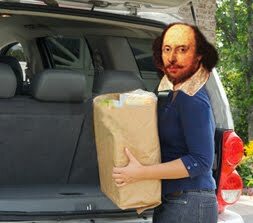 If you like the book Sh*t My Father Says (or even if you don't), you'll dig our newest piece for Errant Parent: "Sh*t Shakespeare's Fathers Said." Featuring special guest appearances by the Everyday Shakespeare husbands!